Ivory Plaskon with red dial and knobs. Here's a stunning machine age midget. The case is in superb condition with the embossed RCA Victor name. No cracks, chips, or hairlines. 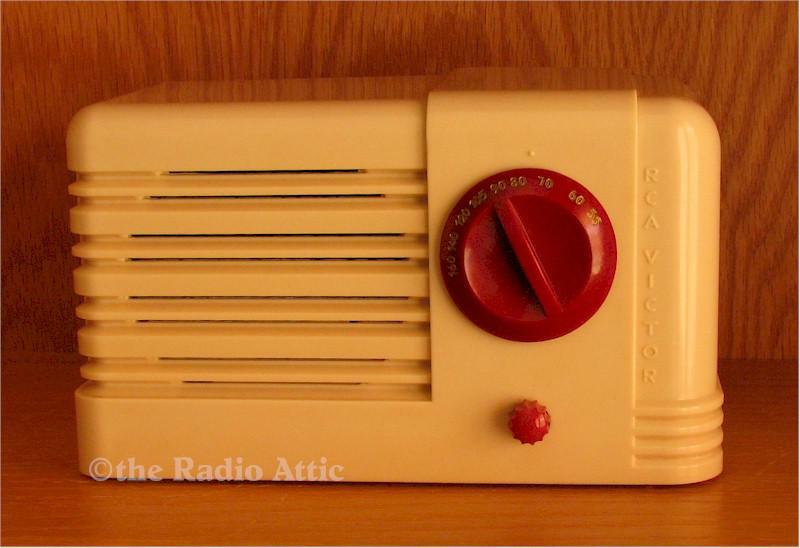 The radio has been restored and plays great. It has a new back and cord. 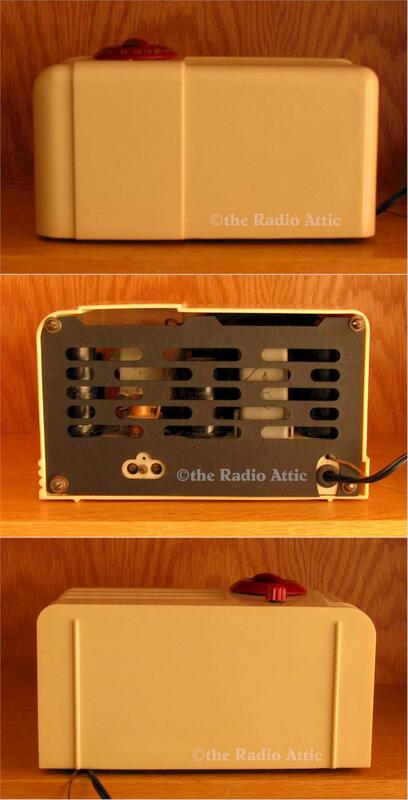 Great little radio. 8-1/2"W x 5"H x 4-1/2"D.